(1) play with and hug my grandkids; (2) watch my bluebirds; (3) dance to "crazy" by Gnarls Barkley; (4)read niece Wendy's blog. Thank you. That is lovely advice and *exactly* what I needed to hear today. I have been walking everyday now for almost two weeks straight, and it feels sooooo great! Which takes me to #3 on your list, when I walk I listen to my breath and recognize each step. Oh the things in this wonderful world (in and outside of yourself) you notice when you are present!!! Love your post and pic! Made me smile and that is another thing to make your life better, smile, smell, sit back and breathe. 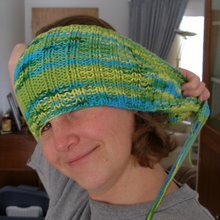 Your post has inspired me for an idea on my blog today, thank you for inspiration~! 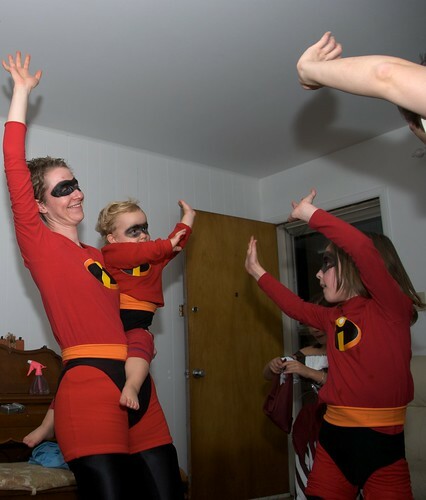 A picture of the Incredibles dancing just made my day brighter. Who would have thought.... lol Thank you! Great list! I've been venting to get the cranky thoughts out of my head, where they tend to rattle around and make me feel crankier. I'm working on actively seeking happiness since I was given a "DUH" moment from another blog. Spending time with the kiddos is high on the list but just being with my friends makes me feel lighter even when we're all too tired to hold much of a conversation! Around 9:30 at night here lately, there has been a bird that starts in with the most beauitul song. Not sure what it is but the song last for about 30 min. I try to make time to stop and just sit on the deck or by an open window to listen to it ...and the silence that surrounds it.